Make sure that you have made the initial integration on the webshop so that Clerk.io is synced with your product catalog and order history. The first thing you have to do is create a Design for your emails. You can create as many different designs as you want and each Design can be used across many different recommendations blocks. Check out how to style Email Designs here. 1. 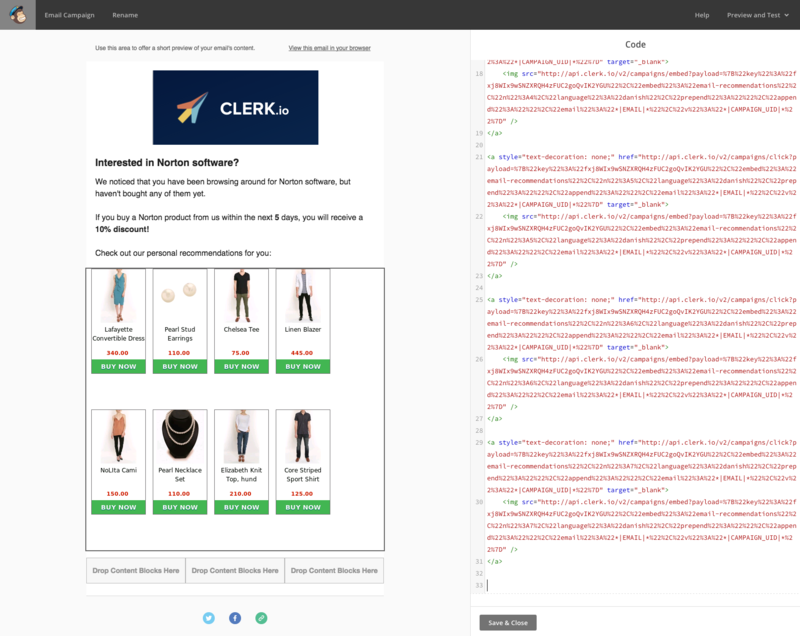 In my.clerk.io, go to Designs. 2. Click New Design and give it a name. 4. OPTIONAL Add any desired HTML and CSS to your email design. 5. Click Update Design when you are done. Each type of Email recommendations should have its own Content block. These Content blocks control how many products to show, which logic to use, if any filters should apply, etc. 1. Go to Email Content. 2. Click New Content and give it a name. 3. 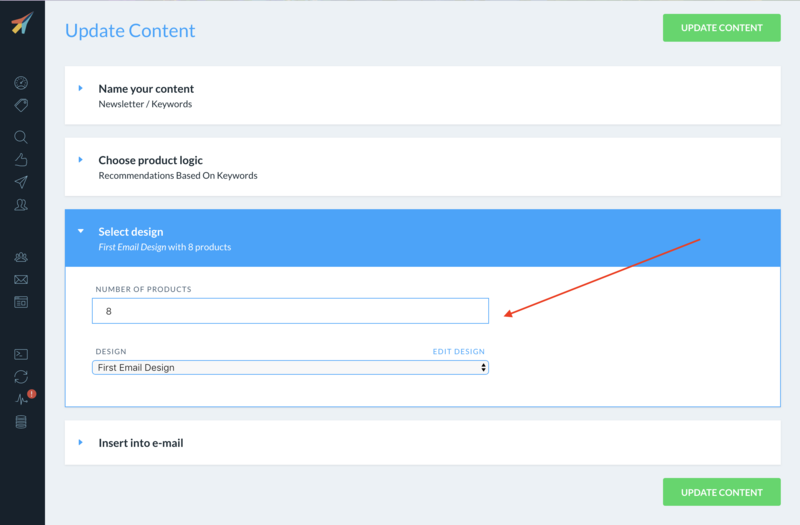 Set the Product Logic you want to show products for. 4. Select the Number of products you want to show and choose one of the designs you have created. 5. Click Update Content to save your changes. 1. Under Insert into email, choose Mailchimp as the E-mail Platform. 2. 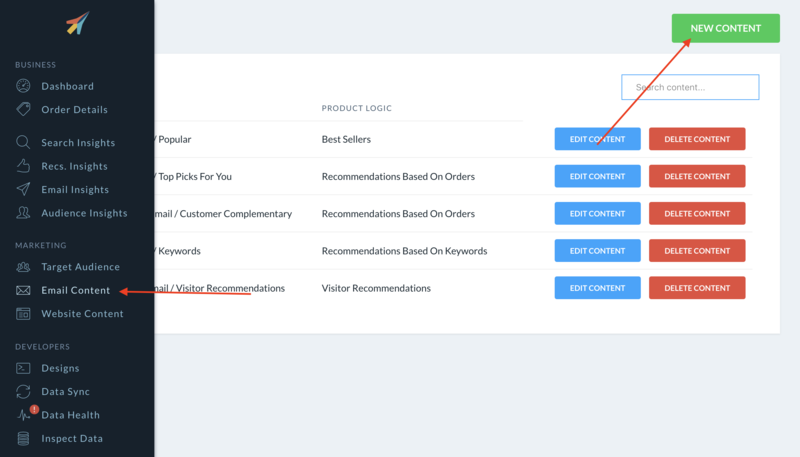 OPTIONAL: Depending on the Content Logic you have chosen, you might need to add extra data like keywords or a category ID. 3. 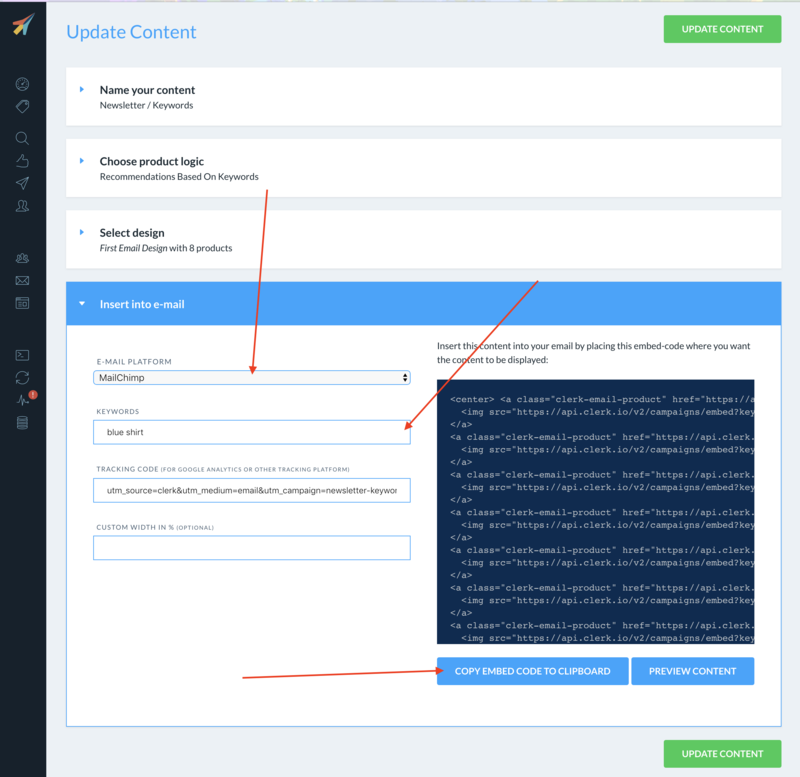 Click Copy Embed Code To Clipboard on the Content page. 1. 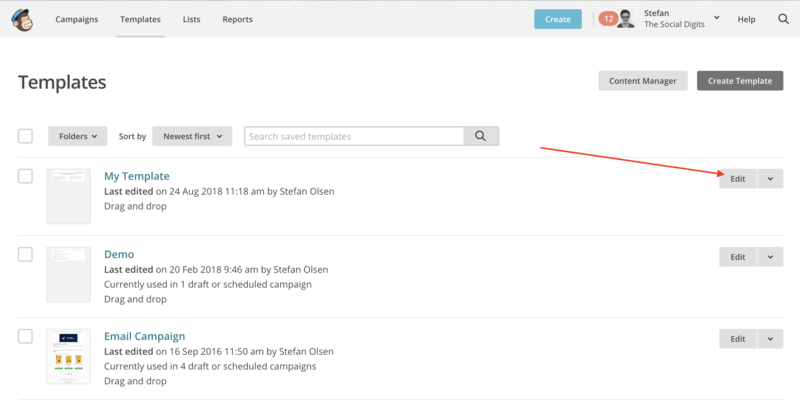 In Mailchimp, go to Templates. 2. 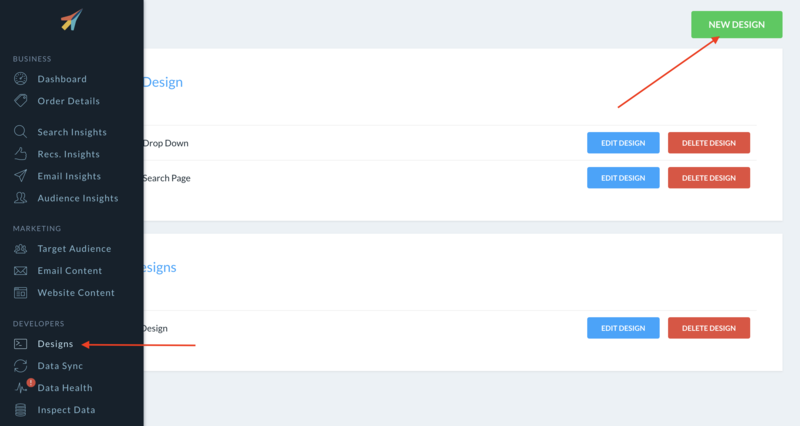 Click Edit on the template that you want to insert your email recommendations in. 3. 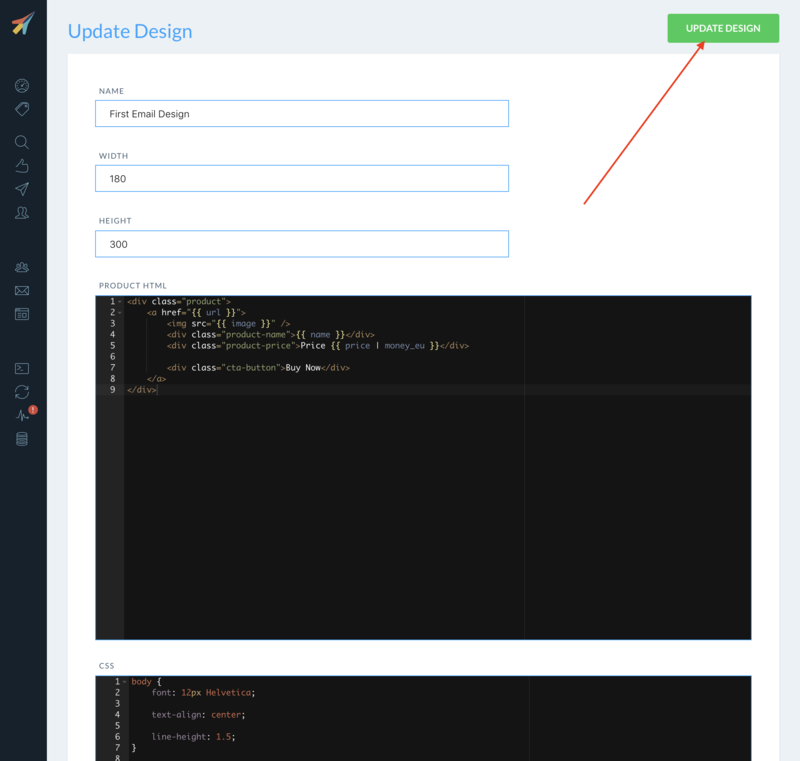 Drag a Code Block to the part of the template where you want recommendations to be shown. 4. Paste the embedcode into the editor. Congratulations! 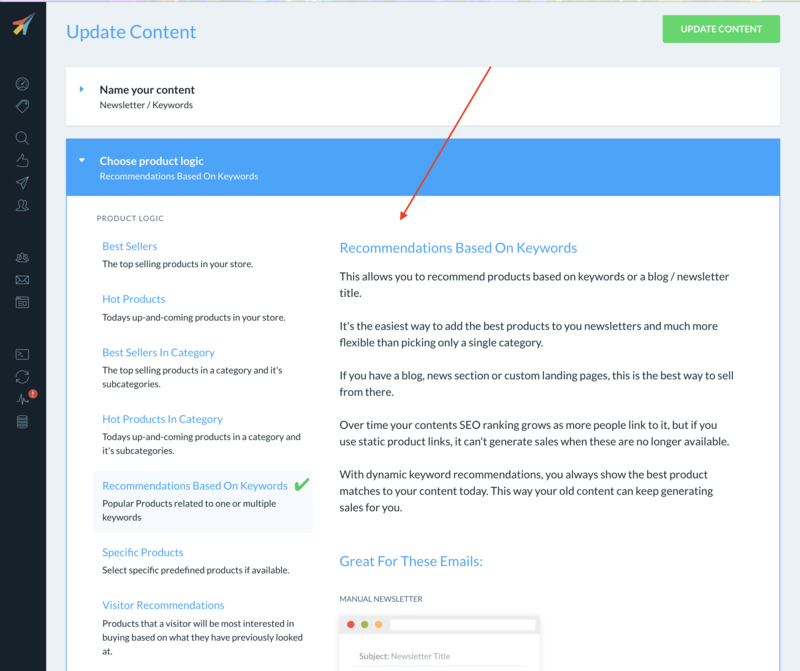 You now have Email Recommendations in your MailChimp template!